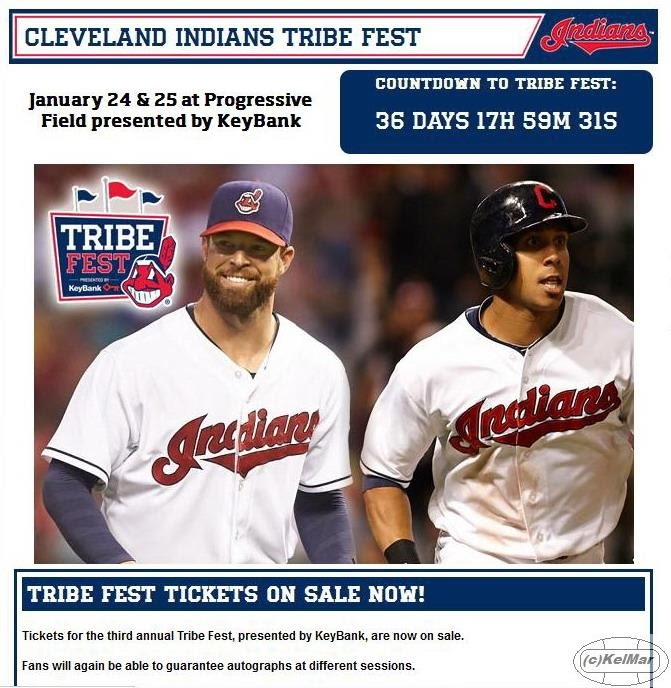 it was announced today that Michael Brantley will be attending the 3rd annual Tribe Fest, presented by KeyBank, at Progressive Field on January 24 & 25, 2015.
tickets for this event are on sale now. adult tickets are $10 and children 12 and under are free as long as their tickets are "bought" in advance. the maximum is 2 free kid admissions per adult ticket. on the days of the event, a child ticket will cost $5. fans can purchase general admission tickets alone, or bundle them with an autograph ticket. there are three different autograph sessions to choose from: January 24 from 10 am - 2 pm, January 24 from 4 - 8 pm, and January 25 from 10 am - 3pm. while you cannot choose which specific player you will get an autograph from, you can pick between a current Indians player ($20 ticket) or an alumni player ($25). John Adams, Tom Hamilton, Jim Rosenhaus, Mark Shapiro, and, of course, Terry Francona will be at this event as well. aside from getting autographs, fans will have the opportunity to hit in the batting cages, tour the Indians clubhouse, and participate in Q&As with the players. additionally, fans can visit the Club Lounge for concessions. for more information, go to Indians.com/TribeFest.